Karrueche Tran has dumped Chris Brown and changed her number. According to TMZ, Karrueche has not only broken up with him but also changed her number. 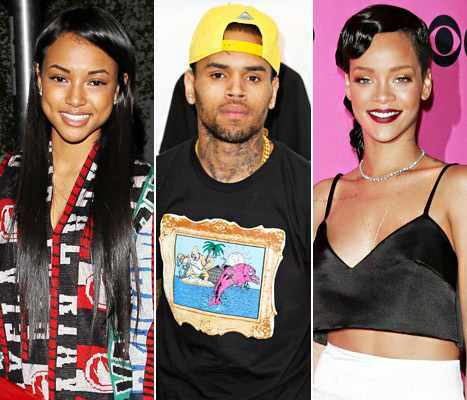 Sources say Karrueche exploded when Chris recently "liked" 2 fan photos on Instagram of Rihanna and him together. But Rihanna was only a small part of Karrueche's problems with Chris. We're told she was unhappy for a long time ... as sources put it, because "Chris acts immature, like a child." She thinks he's ruining his life by spending more time partying than making music. Chris' reaction to the break up has been breathtaking. He went to St. Tropez this week and took a very good friend of Karrueche's along for the ride. And he made a point to be photographed with her ... making sure Karrueche would see it. Karrueche's reaction was not jealousy. We're told she's changed her phone number specifically so Chris couldn't contact her.